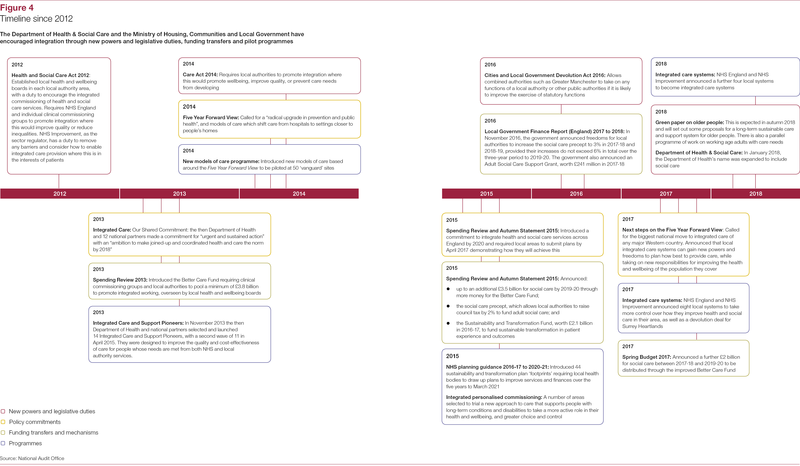 The population’s health and social care needs have changed greatly since the National Health Service (NHS) was established in 1948. People are now living longer, often with multiple and complex conditions that require managing. 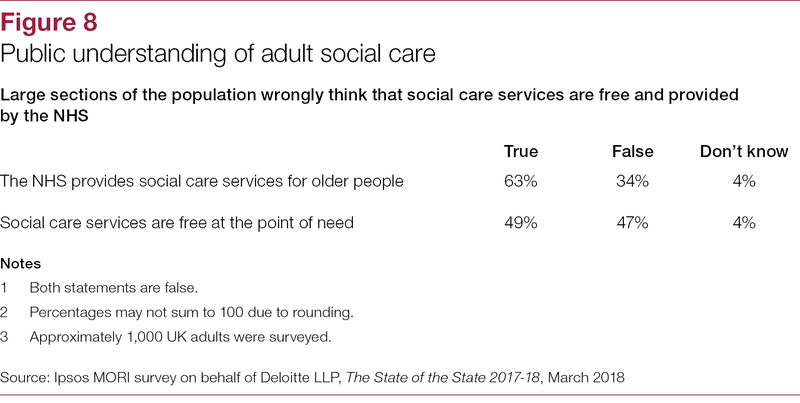 However, the division of care into two separate systems – health and social care – has not fundamentally changed over that time. 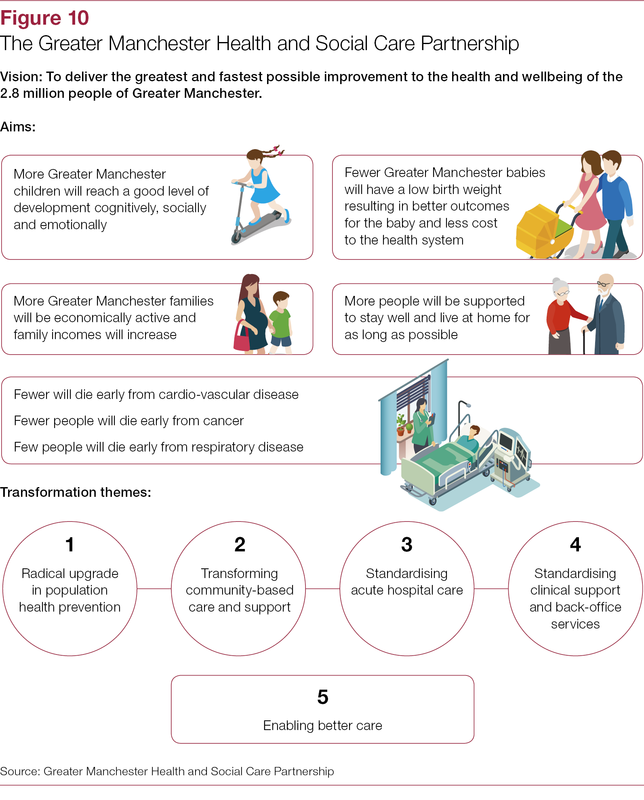 There is widespread consensus among health and social care professionals, the NHS and policy-makers in government that the changing needs of the population require changes to the way health and social care services are organised and delivered. 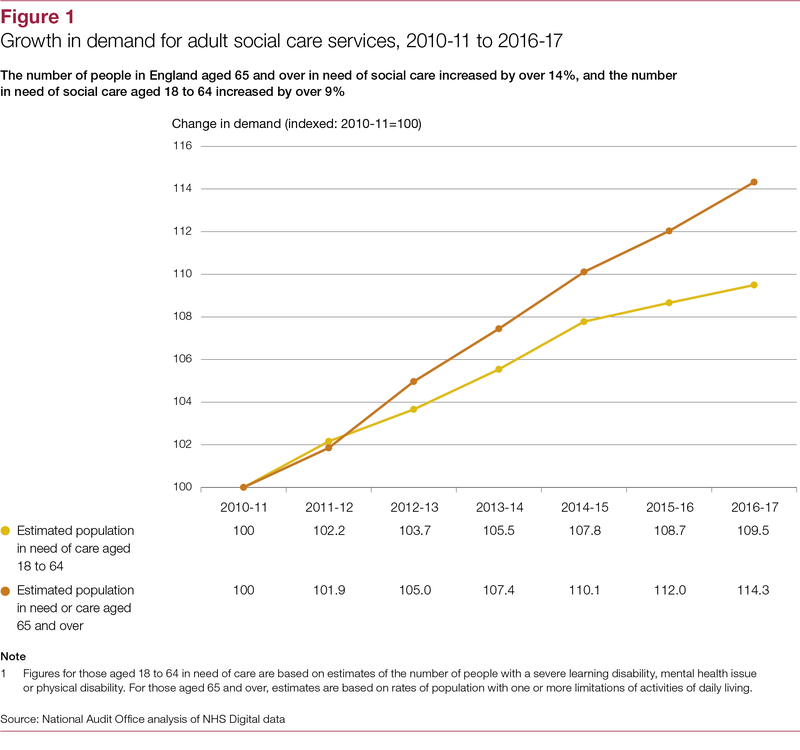 Over recent years there has been a move towards planning care services around the needs of the individual, but progress has been slow. Not moving towards whole‑system working risks gaps, duplication and wasted resources. 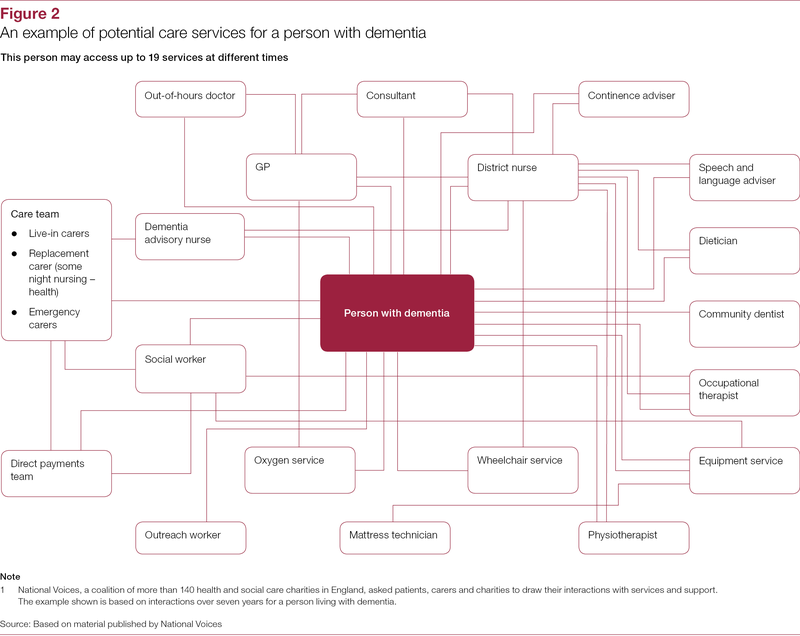 A patchwork of services provided along institutional lines that are not aligned to the needs of service users will not deliver the best health and wellbeing outcomes. 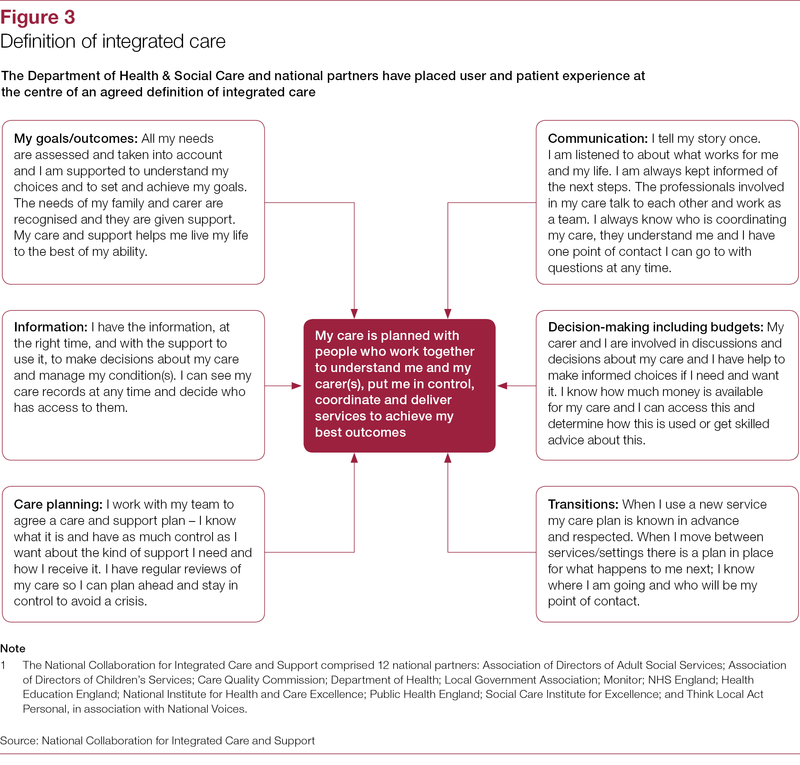 This ‘think piece’ draws on our past work, in which we have highlighted the barriers that prevent health and social care services working together effectively, examples of joint working in a ‘whole system’ sense and the move towards services centred on the needs of the individual. We also draw on recent research and reviews by other organisations. Our report aims to inform the ongoing debate about the future of health and social care in England. 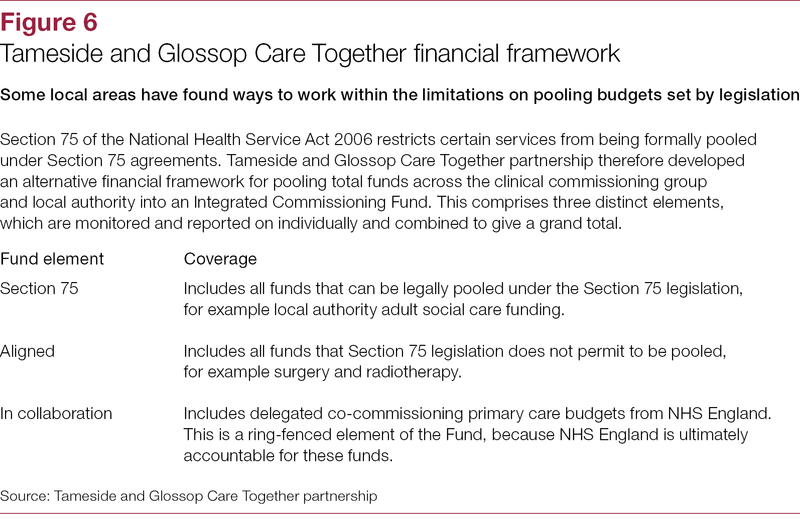 It anticipates the upcoming green paper on the future funding of adult social care, and the planned 2019 Spending Review, which will set out the funding needs of both local government and the NHS. 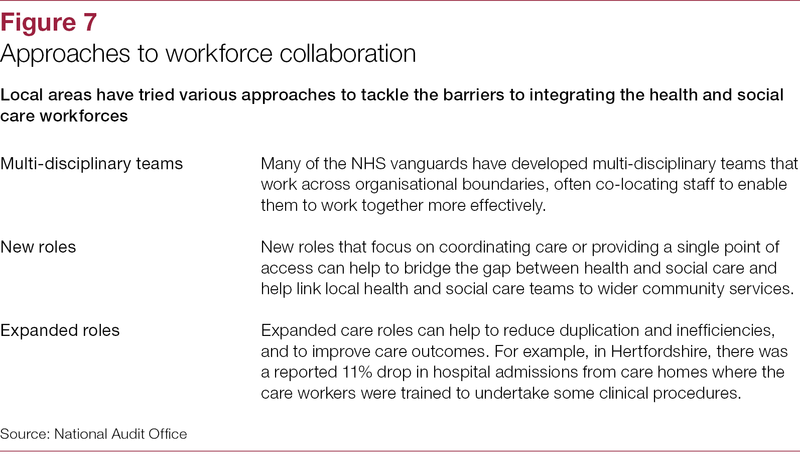 In this report we present and discuss 16 challenges to improved joint working. We also highlight some of the work being carried out nationally and locally to overcome these challenges and the progress that has been made. 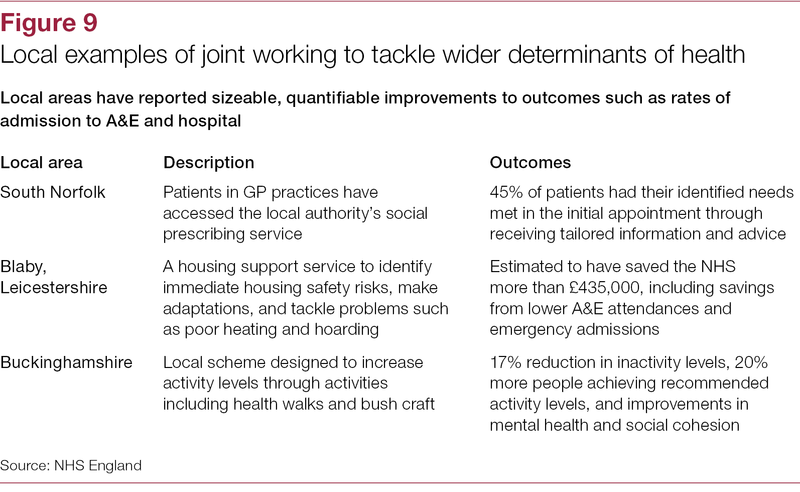 We draw out the risks presented by inherent differences between the health and social care systems and how national and local bodies are managing these. 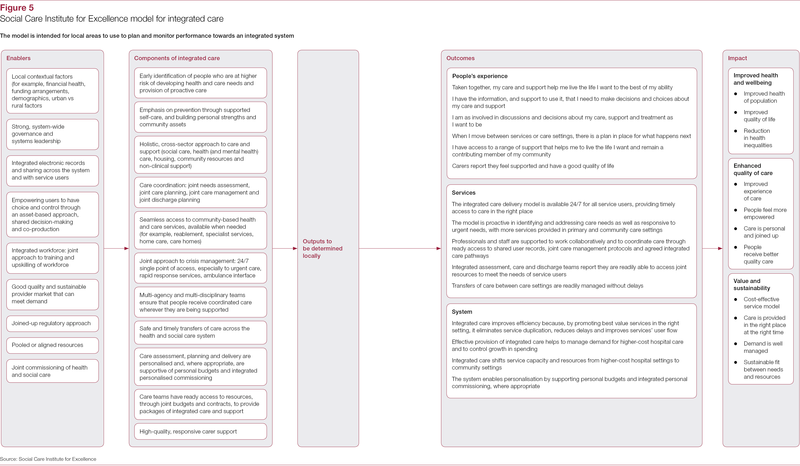 Aileen Murphie shares her key takeaways from our latest report on the health and social care interface.